Moscow says the signing of the new START arms reduction treaty between Russia and the US may be in March or April of this year. “March or April looks like a realistic deadline,” Russian presidential aide Sergey Prikhodko said. Prikhodko was glad to know that the US side was not trying “politicize” the treaty. “We reaffirm the objective assessment of the situation during negotiations and preparation of the document made by our American colleagues,” he said. The Wall Street Journal reported that for the first time in twenty years, Russia and the US have reached “an agreement in principle” on the nuclear arms reduction deal. It is expected the number of warheads on each side will be reduced to 1500-1675 units. 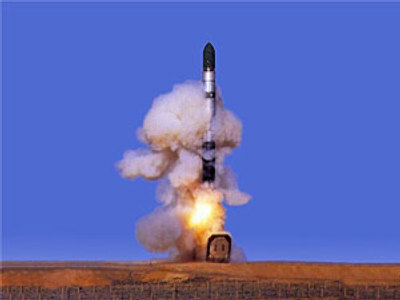 Under the 1991 START treaty, the parties have the right to 2200 warheads each. The agreement would also lower nuclear delivery systems sharply to between 700 and 800 apiece. Russia and the United States failed to sign a new START treaty before it expired on December. Questions arose as to whether the talks were in trouble, but last week US President Barack Obama and Russian President Dmitry Medvedev agreed on some of the divisive issues in telephone talks. The Wall Street Journal reported that the breakthrough came earlier, during the visit of National Security Adviser James Jones and the chairman of the Joint Chiefs of Staff Admiral Michael Mullen to Moscow two weeks ago.